CONSTANT-INVSAVG [CONSTANTINVS AVG]; head r., laur. PROVIDEN-TIAEAVGG [PROVIDENTIAE AVGG]; camp gate, two turrets, no doors, star above, varying number of stone layers. Dot in arch. PLON in exergue. UNLISTED ISSUE. Specimen similar to LONDON 293 except for dot in arch. 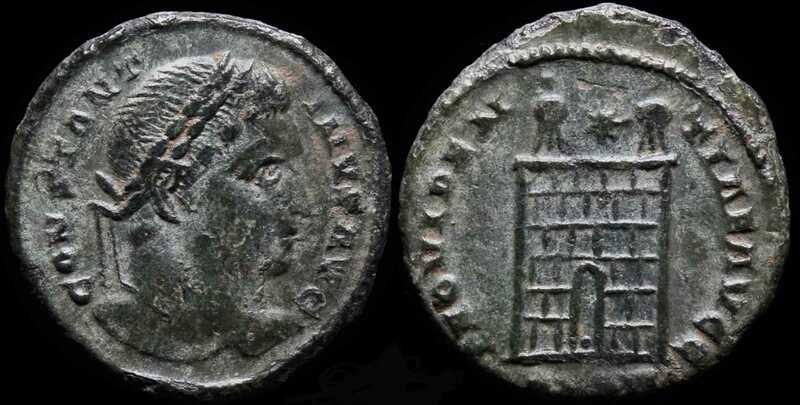 Variant mentioned in footnotes 293 and 296 on p. 116 (for Constantine's I and Constantine's II coins). Relatively large number of known specimens suggests a separate issue or at least sub-issue. Note that the second dot above arch is probably a centering mark (see example of LONDON 293 with dot above arch). Listed in Cloke-Toone as a minor variant together with LONDON 293 (10.02.001). Should be listed in RIC after LONDON 300. 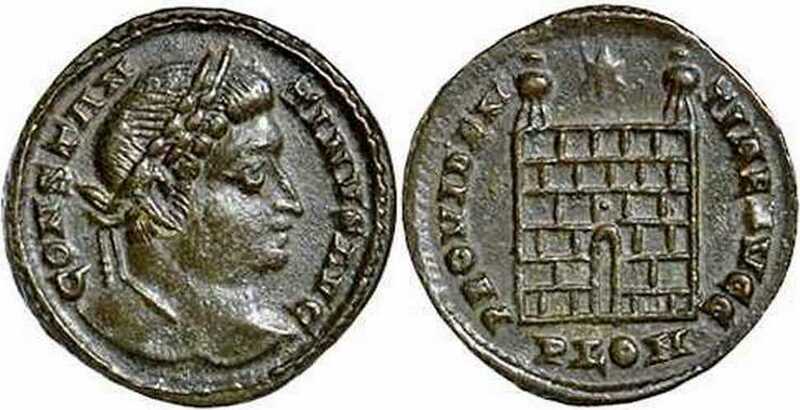 LONDON [after 300], CONSTANTIUS II, UNLISTED ISSUE [Dot over PLON], BUST TYPE B4 l.
Weight 3.30 g; diameter 19-21 mm. 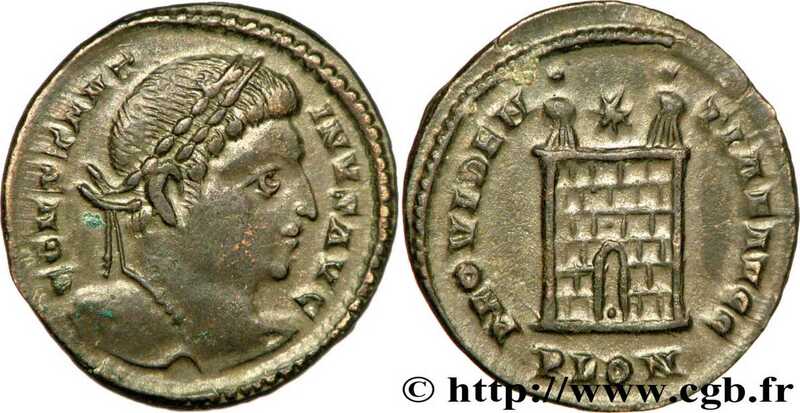 From Late Roman Bronze Coin Forum; posted by Victor. - from VCoins (Victor's Imperial Coins); weight 2.80 g; diameter 19-21 mm; obv. legend break N-T [click for picture].